Striking Fundamentals is designed to give new students the tools they will need to train in both Muay Thai and in the striking aspects of Mixed Martial Arts without feeling like being “thrown in the deep end”. As with all martial arts, fundamentals are always the most important thing, so experienced students also attend this class for practice and refinement of technique. In Striking Fundamentals equal emphasis is placed on striking techniques and pad holding techniques. At Hobart Martial Arts Academy we believe that it is of equal importance to learn to hold pads and “feed” targets as it is to actually hit pads in learning effective striking. A student will learn, basic hand techniques, kicks, knees as well as body movement and defence. Striking training is done in shorts and a t shirt or singlet, students are free to wear traditional Thai shorts or MMA (Mixed Martial Arts) shorts if they want to. The minimum equipment needed for Striking Fundamentals is a pair of hand wraps, these are available from reception for $10. Striking Fundamentals is taught by Calum Young and Gerry Young. Muay Thai is a martial art and sport native to Thailand. It is a kickboxing style that contains elements of striking and grappling. Sometimes known as the “Science of Eight Limbs”, Muay Thai is known for utilising, elbow and knee strikes in addition punches and kicks. Muay Thai is also famous for its effective clinch work, which makes it a great partner style to Brazilian Jiu Jitsu. The Clinch allows for a transition between stand-up striking and ground grappling techniques. Muay Thai training is done in shorts and a t shirt or singlet, students are free to wear traditional Thai shorts or MMA (Mixed Martial Arts) shorts. Students will also need to own and use various other items of training equipment, such as gloves, hand wraps, shin guards and mouth guards. There are opportunities to compete in Muay Thai regularly, as your training progresses you may be interested in competing at a local or national level. 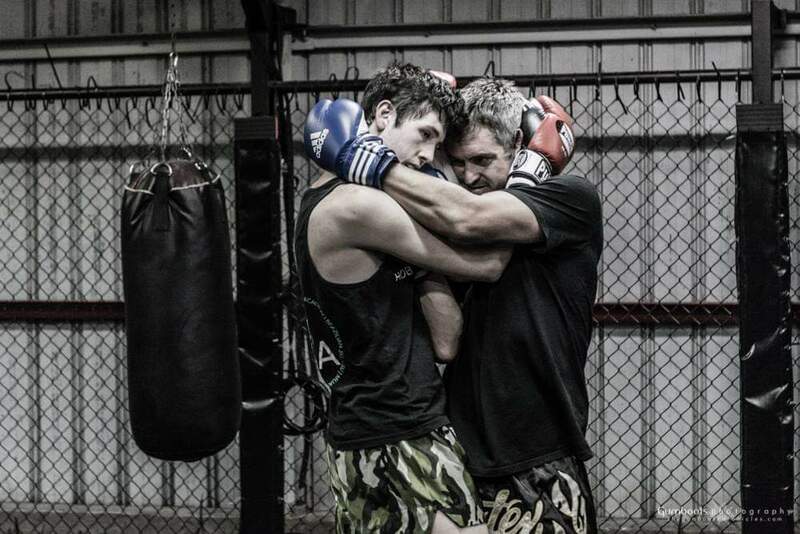 Out Muay Thai classes are taught by some of the best coaches in the state including Dave Leighton and Gerry Young.